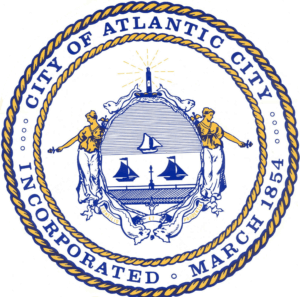 Ways to Save on ATM Fees when in Atlantic City - Check out our Guide! We understand that most people nowadays don’t walk around with a lot of cash in their pockets, especially if visiting casinos. Therefore, most of us depend on having easy access to an ATM. However, finding an ATM without expensive withdrawal fees is becoming much harder to find these days. Sometimes, all we want to do is check our balance, and there’s a fee for that too. So after doing a little research, we found a few ways you could save a little green while visiting the Boardwalk to play casino. Luckily, most people in the region bank at either PNC, TD Bank, or Bank of America. If that’s your case, then no worries, your bank won’t charge you a dime. For everyone else, well, this is where we have to get creative. Currently, only the Borgata has a bank-brand ATM (Well Fargo). So, if you’re a customer, then great, there’s no fee. But if you’re not, then you’ll definitely pay a minimum of $4.99 per transaction. And the Borgata isn’t alone on this one, all casino ATM’s in Atlantic City come with fees. They’re ways around these expensive fees. Indeed, instead of heading out to a brick and mortar casino, why not join the action online? In fact, you can sign up to an online casino and play your favourite casino games and even discover new ones at Hard Rock, or Ocean Resort Casino. In fact, most of the leading Atlantic City casinos offer an online alternative where you don’t need to withdraw any cash to play. And most of the online options come with less or in some cases no fee. So you can spend the money on playing the games instead of paying fees. To deposit, you’ll find popular options like PayPal, Skrill, and Bank Wire. However, if you have a Trans@ct Prepaid Mastercard, then you’re in luck since those ATM’s are now part of the Trans@act system. So they have no withdrawal fees either at an ATM or the casino cage.